This entry was posted in Uncategorized on December 31, 2015 by Stefano. After last week’s post introducing France’s Alsace wine region and the Alsace AOC appellation, it is time to move on to the actual reviews and tasting notes of three Pinot Blancs from Alsace that you may want to bear in mind for your Spring/Summer wine shopping list: check them out on Flora’s Table! Disclaimer: this review is of samples that I received from the producers’ US PR agency. My review has been conducted in compliance with my Samples Policy and the ISA wine tasting protocol and the opinions I am going to share on the wines are my own. This entry was posted in Uncategorized, White Wines, Wine, Wine Reviews and tagged Albert Mann, Alsace, AOC, Domaines Schlumberger, France, French, Meyer-Fonné, Pinot Blanc, review, tasting, white, wine on April 27, 2015 by Stefano. 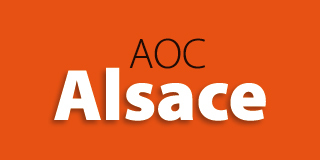 Since I have recently received three samples of Pinot Blanc wines from Alsace which I am going to review on one of the next posts, today I am going to provide a brief overview of northeastern France’s Alsace AOC appellation in anticipation of my reviews of those three wines. Alsace is a region in France’s northeast, bordering with Germany and stretching some 105 miles/170 KM from north to south, encased between the Vosges Mountains to the west and the west bank of the Rhine River to the east. The region is divided into two departments: the “Bas-Rhin” to the north (near the region’s capital, Strasbourg) and the “Haut-Rhin” to the south. This entry was posted in Wine, Wine Education, Wine Regions and tagged Alsace, AOC, appellation, Auxerrois, education, France, French, Pinot Blanc, Pinot Grigio, Pinot Gris, Pinot Noir, white, wine on April 21, 2015 by Stefano. Check out a cool new project that just launched over at Flora’s Table: a database summarizing the main regulations of all of Italy’s top DOCG appellations broken down by region plus an explanation of the basics of the Italian appellation system! We are pretty excited to share the news of a new wine project and powerful tool that we just rolled out on Flora’s Table: an overview of all of Italy’s 74 DOCG appellations (those that are at the top of the Italian appellation system pyramid) broken down by region. Each regional page contains a map of such region and, for each DOCG appellation, a standardized summary of their main regulations and permitted grape varieties, most of which link to the corresponding entries in our Grape Variety Archive, which in turn illustrate the main facts and information about those varieties. This entry was posted in Wine, Wine Education and tagged appellation, archive, database, DOCG, education, Italian, Italy, regulations, wine. on April 13, 2015 by Stefano. Check out our latest wine review on Flora’s Table: Domaine Chante Cigale, Châteauneuf-du-Pape AOC, 2009 – a delicious CDP wine with a good quality to price ratio. 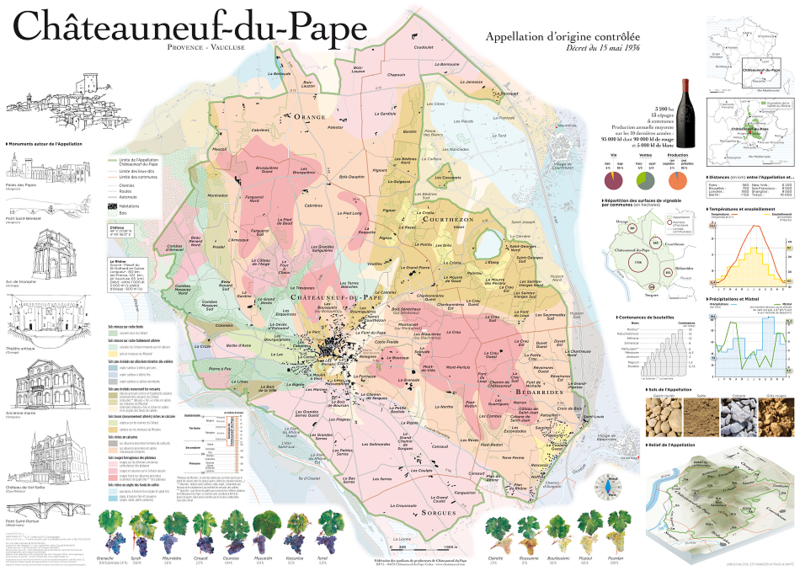 Our previous post provided a general overview of Châteauneuf-du-Pape, the territory, the appellation and the main winemaking practices, so if you missed that you may want to go back and take a look at that before reading this post, which instead revolves around my review of a Châteauneuf-du-Pape wine that I really like: Domaine Chante Cigale, Châteauneuf-du-Pape AOC, 2009 ($35). 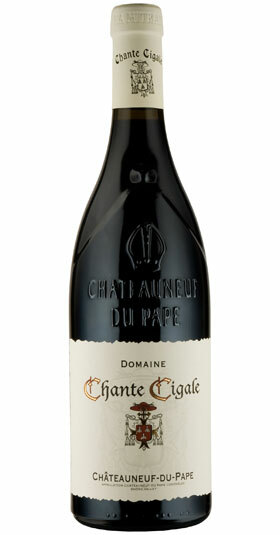 Overall, the Chante Cigale CDP 2009 that I had was a very good to outstanding wine: I was impressed both by its broad and intense bouquet of aromas (tart cherry, black currant, wild berries, violet, cocoa, wet soil, leather, sweet tobacco, rosemary, vanilla, licorice, black pepper, forest floor and a barnyard note) and by its delicious mouthfeel, which combined fruity and spicy flavors with a smooth, balanced sip. All in all, an extremely pleasant and ready to drink wine which delivers good bang for the buck. This entry was posted in Red Wines, Wine, Wine Reviews and tagged AOC, Châteauneuf-du-Pape, Cinsaut, France, French, Grenache, Mourvedre, red, review, Rhône Valley, Syrah, tasting, wine on April 3, 2015 by Stefano. Check out on Flora’s Table our overview of the Châteauneuf-du-Pape wine region and appellation, including its history, terroir, permitted grape varieties and winemaking practices. As a prelude to our next post in which we will temporarily leave Italy and review a French Châteauneuf-du-Pape wine, in this post we will provide a brief overview of the southern French wine region that goes by the same name, including its history, terroir, permitted grape varieties and winemaking practices. Châteauneuf-du-Pape is an area encompassing 3,200 HA of vineyards that is located in the southern part of the Rhône Valley, in France, between the towns of Orange (to the north) and Avignon (to the south). This entry was posted in Red Wines, Wine, Wine Education and tagged AOC, blend, Châteauneuf-du-Pape, education, France, French, grape, Grenache, GSM, Mourvedre, red, Rhône Valley, Syrah, variety, wine, Wine Grapes on March 29, 2015 by Stefano. 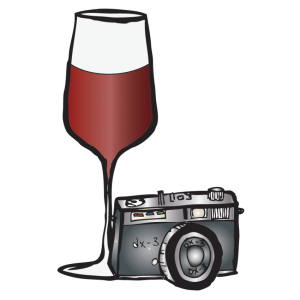 Variety Show: Spotlight on Primitivo… Or Zinfandel?… Or Tribidrag? Find out for yourself and discover in the process cool facts about their origins, history, DNA profiling, main appellations and recommended producers! Today’s grape in the limelight of our Variety Show is Primitivo, a black-berried grape variety that has sparked a long-lasting controversy as to whether it is the same variety as Zinfandel or a different one. With the help of the precious and up-to-date scientific data from the brilliant tome Wine Grapes, by Robinson-Harding-Vouillamoz, Allen Lane 2012, this post intends to shed some light on this debate and provide an overview of the scientific evidence that settled it. The earliest documented mention of Primitivo in Italy dates back to 1799 and can be found in a note of an amateur botanist from Puglia who called “Primativo” (from the Latin “primativus“, meaning “first to ripen”) a particularly early ripening grapevine that he found in his own vineyard. This entry was posted in Variety Show, Wine, Wine Education and tagged California, Croatia, grape, Italian, Italy, Primitivo, Tribidrag, USA, variety, Variety Show, Wine Grapes, Zinfandel on March 19, 2015 by Stefano. Check out on Flora’s Table the new post in the Variety Show series, this time putting the Aglianico grape variety in the spotlight! Discover cool facts about its origins, DNA profiling, main appellations and recommended producers. Today’s grape variety in the spotlight is… Aglianico, together with its clone Aglianico del Vulture. Aglianico is a black-berried grape variety that is indigenous to Southern Italy. The earliest written evidence of this variety dates back to 1520 referring to the grapes as “Aglianiche”. Although it is widely believed that the name “Aglianico” comes from a variant of the word “hellenic”, hinting at a Greek origin of the variety, this theory is confuted by others (including the authors of Wine Grapes) who contend that the word actually comes from the Spanish word “llano” (meaning “plain”), thus referring to Aglianico as the “grapes of the plain”. This entry was posted in Variety Show, Wine, Wine Education and tagged Aglianico, Aglianico del Vulture, Campania, education, grape, Italian, Italy, red, variety, Variety Show, wine, Wine Grapes on March 12, 2015 by Stefano. Read on Flora’s Table the whole story behind a special wine tasting: Gaja, Barbaresco DOC 1967! Tasting notes, grape variety information, facts about the Gaja estate and much more. The wine we are going to review today was certainly quite a treat: last month, my good friend Anatoli (who pens the Talk-A-Vino wine blog) and other friends came over for dinner and I decided time was right to open a bottle that had been sitting around for a while: Gaja, Barbaresco DOC 1967. This post tells the story of that experience. For a different take on it (plus other wines we had that night), check out Anatoli’s post on his blog. But let’s get to it. This entry was posted in Red Wines, Wine, Wine Reviews and tagged 1967, Angelo Gaja, Barbaresco, Barbera, DOCG, Gaja, Italian, Italy, Langhe, Nebbiolo, Piemonte, red, review, tasting, wine on March 5, 2015 by Stefano. FsT Variety Show: the first grape in the spotlight is Glera, also known as Prosecco. Learn some cool facts about this variety and its origins! Today’s grape in the limelight of our Variety Show is Glera, formerly known as Prosecco. Up until recently, Prosecco was the name for three things: the wine, its main grape variety and the homonymous village near the town of Trieste (in the Italian region of Friuli) that probably gave the wine and the grape their name. Relatively easy so far. This entry was posted in Variety Show, Wine, Wine Education and tagged Charmat-Martinotti Method, Classic Method, education, Friuli, Glera, grape, Italian, Italy, Numero 10, Prosecco, sparkling, spumante, Valdo, variety, Variety Show, Veneto, wine, Wine Grapes on March 1, 2015 by Stefano. Check out Flora’s Table new column, Variety Show, which will showcase different grape varieties from all over the world, providing cool facts and DNA profiling data! Today we are going to launch a new column called Variety Show. Each post in this series will feature a different grape variety from around the world. Each post will contain cool facts, cutting-edge DNA profiling data and ampelographic notions about a specific variety, mainly taken (of course, with the authors’ kind permission) from the wonderfully informative and scientifically researched volume “Wine Grapes” authored by Jancis Robinson, Julia Harding and Jose Vouillamoz, Allen Lane 2012. Wine Grapes is an impressive 1,242 page long collection of detailed and up to date information about 1,368 vine varieties from all over the world. Please consider purchasing your own copy of Wine Grapes: it will provide a ton of invaluable information about everything that you may want to know about grape varieties. This entry was posted in Variety Show, Wine, Wine Education and tagged education, grape, variety, Variety Show, wine, Wine Grapes on March 1, 2015 by Stefano. Check out the third and last installment of my full report on the 2015 Gambero Rosso “Tre Bicchieri” wine event in New York City. Part 3 focuses on wines from Southern Italy and Italy’s main islands. In this third and last chapter of my report on Gambero Rosso’s Tre Bicchieri 2015 NYC event, you will find my tasting notes for those producers from southern Italy and the two main islands (Sardinia and Sicily) that I enjoyed the most among those that I tasted at the event. It goes without saying that the list below is far from being complete and that there were many more very good wines at the event that are not listed on this post. For more information about the Gambero Rosso’s Tre Bicchieri 2015 NYC event and my tasting notes for northern Italian producers, please refer to the first chapter of my report, while for my tasting notes for central Italian producers, please refer to the second chapter of my report. This entry was posted in Red Wines, White Wines, Wine, Wine Reviews, WinEvents and tagged dessert, event, Fair, Gambero Rosso, Italian, Italy, New York, raisin, red, review, sweet, tasting, Tre Bicchieri, USA, white, wine on February 24, 2015 by Stefano. 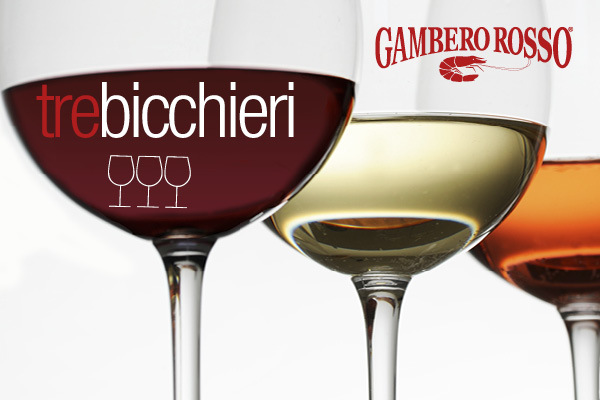 Check out part 2 of my full report on the 2015 Gambero Rosso “Tre Bicchieri” wine event in New York City. Part 2 focuses on Central Italy’s wines. In this second chapter of my report on Gambero Rosso’s Tre Bicchieri 2015 NYC event, you will find my tasting notes for those central Italian producers (loosely interpreted, as I am adding Liguria among them…) that I enjoyed the most among those that I tasted at the event. It goes without saying that the list below is far from being complete and that there were many more very good wines at the event that are not listed on this post. For more information about the Gambero Rosso’s Tre Bicchieri 2015 NYC event and my tasting notes for northern Italian producers, please refer to the first chapter of my report that was published in the immediately preceding post. This entry was posted in Red Wines, White Wines, Wine, Wine Reviews, WinEvents and tagged event, Fair, Gambero Rosso, Italian, Italy, New York, red, review, tasting, Tre Bicchieri, USA, white, wine on February 20, 2015 by Stefano. Check out part 1 of my full report on the 2015 Gambero Rosso “Tre Bicchieri” wine event in New York City. Part 1 focuses on Northern Italian wines. A couple of weeks ago was that time of the year yet again, when I got to participate (along with my good friend Anatoli, AKA Talk-A-Vino) in one of the most eagerly anticipated Italian wine events in New York City reserved to media and trade: Gambero Rosso’s Tre Bicchieri 2015 NYC. As you may know, only those Italian wineries that are awarded the coveted “Tre Bicchieri” (i.e., three glasses) top ranking in the Gambero Rosso wine guide are invited to participate in the event. 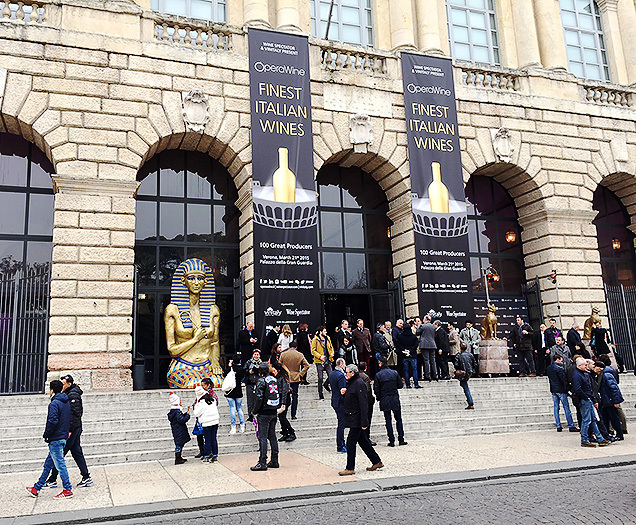 This year 180 wineries were represented at the Tre Bicchieri event, just the same as last year, presenting some of their best wines to media and trade. 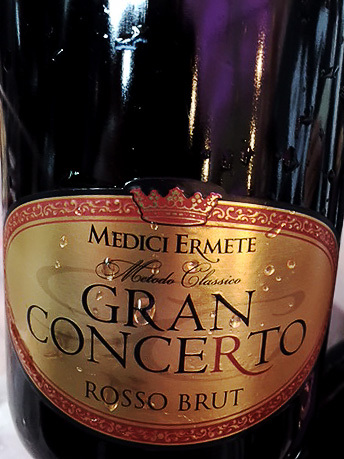 This entry was posted in Red Wines, Sparkling Wines, White Wines, Wine, Wine Reviews, WinEvents and tagged dessert, event, Fair, Gambero Rosso, Italian, Italy, New York, raisin, red, review, sparkling, spumante, sweet, tasting, Tre Bicchieri, USA, white, wine on February 17, 2015 by Stefano. This year, my Valentine to my readers is an intimate, misty portrait of a snow monkey (Macaca fuscata) nursing her baby that I took on Japan’s big island, at Jigokudani Yaenkoen National Park. Should you be interested in knowing more about these animals and the place they live in, you can check out my previous snow monkey post that contains information in that regard. If you would like to see more images of mine, feel free to browse my Galleries. This entry was posted in Photography, Wildlife Photography and tagged celebration, Japan, monkey, Nagano, nature, photography, snow, Valentine's Day, wild, wildlife on February 14, 2015 by Stefano. Looking for a special wine for Valentine’s Day? Here is one to consider, a delicious Sauvignon Blanc from Italy’s northeast region of Alto Adige: St. Michael-Eppan, Alto Adige Sauvignon “Sanct Valentin” DOC 2013. With Valentine’s Day fast approaching, there is just no other wine that comes to mind than St. Michael-Eppan, Alto Adige Sauvignon “Sanct Valentin” DOC 2013 ($34) 😉 So, that is the wine that we are going to review today. Overall, the Sauvignon Sanct Valentin was very good: it had an expressive bouquet with tertiary aromas well under control (thanks to its being aged mostly in stainless steel) and a great, coherent mouthfeel, where its high ABV and gentle smoothness were perfectly balanced by its intense sapidity and zippy acidity. Sauvignon Blanc is a white-berried grape variety originating from France. This entry was posted in White Wines, Wine, Wine Reviews and tagged Alto Adige, DOC, Italian, Italy, review, Sanct Valentin, Sauvignon Blanc, St. Michael-Eppan, tasting, Valentine's Day, white, wine on February 8, 2015 by Stefano. Here comes our second post about Chateau Figeac: a wine tasting and full review of a bottle of Chateau Figeac, vintage… 1988! Following our previous post about the history, estate, terroir and winemaking process at Chateau Figeac in Bordeaux’s Saint Emilion region, let’s now focus on my review of a bottle of their Grand Vin that I had an opportunity to taste: Chateau Figeac, Saint Emilion Grand Cru AOC, 1988 ($200). Overall, the Chateau Figeac 1988 that I had was an outstanding, elegant wine: after 26 years of aging, it still performed flawlessly, offering a broad aromatic palette that unsurprisingly underscored tertiary aromas, but still presented fruity, secondary aromas to complement them. It still had enough acidity to keep it alive (although I would not wait much longer to drink it) and noticeable but gentle tannins, along with great smoothness – attaining a nice balance. It had pleasant and vivid mouth flavors of fruit and spices and a long finish. Outstanding! 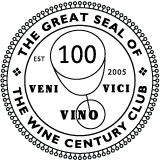 This entry was posted in Red Wines, Wine, Wine Reviews and tagged Bordeaux, Cabernet Franc, Cabernet Sauvignon, France, French, Merlot, Premier Grand Cru Classe', red, review, Saint Emilion, tasting, wine on February 4, 2015 by Stefano. Check out a new chapter in our Saint Emilion Chronicles saga, featuring a visit to famed Chateau Figeac and a detailed overview of their winemaking process. For those of you who remember our Saint Emilion series, this is its next installment: after our post on Chateau de Ferrand, today we will talk about another Chateau that we visited – Chateau Figeac. On a previous post, I have provided a general overview of the Saint Emilion wine region and its wine classification system: if necessary, take a look at it for a refresher. 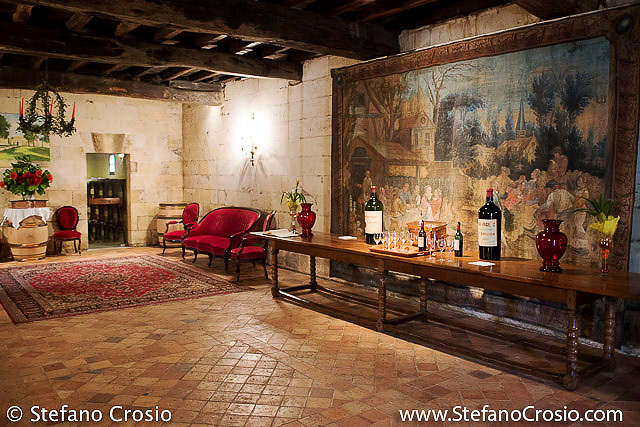 Chateau Figeac’s origins date back to the II century AD, when it comprised a Gallo-Roman villa and a large estate which were owned by the Figeacus family after whom it has been named. This entry was posted in Red Wines, Wine, Wine Education and tagged blend, Bordeaux, Cabernet Franc, Cabernet Sauvignon, Chateau Figeac, education, France, French, Merlot, Premier Grand Cru Classe', process, red, Saint Emilion, wine, winemaking on January 31, 2015 by Stefano. Here is my review of the Benvenuto Brunello 2015 event in NYC and of my top 10 Brunello’s from the event. Enjoy! 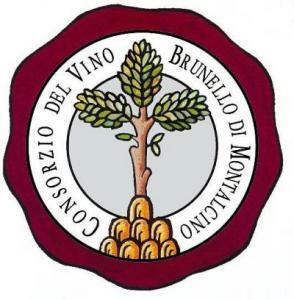 Last week I had the opportunity to attend the Benvenuto Brunello USA 2015 event which was organized and sponsored by the Brunello di Montalcino Wine Consortium at the gorgeous location of Gotham Hall in New York City in order to unveil to the press and trade the 2010 vintage of Brunello di Montalcino wines made by 44 selected producers. This entry was posted in Red Wines, White Wines, Wine, Wine Reviews, WinEvents and tagged Brunello, DOCG, Italian, Italy, Montalcino, Moscadello, Moscato Bianco, New York, red, review, Sangiovese, tasting, USA, white, wine on January 27, 2015 by Stefano. For the convenience of those readers who do not follow Flora’s Table, below is a post that I published on that blog today with some material that may be of interest to fellow oenophiles: a free, downloadable wine tasting chart! Keep reading if you want to know more about it. Exactly two years ago, I had published a post on this blog providing a general overview of the Italian Sommelier Association wine tasting protocol and the steps it entails. Over time I have kept giving some thought about wine tasting and how the use of a common procedure and a common vocabulary may help making different people’s tasting experiences more comparable and convey information about a wine that readers can more precisely appreciate. As a result, I have developed a one-sheet wine tasting chart that is based on a simplified and adapted version of the Italian Sommelier Association wine tasting protocol that I have been using in the wine reviews that have been published on this blog over the last two years. After much work, consideration and fine tuning, I am quite happy with it and I am pleased to make it available as a free download through the link below to those wine enthusiasts out there who are prepared to take a more structured and disciplined approach in their tasting experiences, want to categorize their tasting notes in a standardized format or maybe just want to have fun with a few buddy wine aficionados in a blind tasting and then compare notes. One caveat: the attached wine tasting sheet is loosely inspired by the wine tasting protocol of one of the several organizations out there which promote their own takes of wine tasting and its principles and criteria. As such, it is not intended to be the Holy Grail, the “ultimate oenophile bible” or “the one and only way to conduct a wine tasting”. Far from it. What it aims to be is a reasoned, structured way for non-professional wine tasters to keep track of their tasting experiences and organize and share their tasting notes in a standardized format. and then give it a shot the next time you taste a wine and see how you like it! After you do, please make sure to come back here and share your comments (good or bad! ), suggestions or questions about the FsT Wine Tasting Chart through the comment box below. The FsT Wine Tasting Chart is a free download for all, but please (i) refrain from using it for commercial purposes without asking for our prior consent and (ii) if you want to share it via social media or your own website or blog, feel free to do so but give proper credit to the author (Stefano Crosio, Flora’s Table, LLC) and the source by linking to the original post on Flora’s Table blog or to this post. This entry was posted in Wine, Wine Education, Wine Reviews and tagged chart, education, guided, guidelines, Italian Sommelier Association, process, protocol, sheet, tasting, terminology, wine, words on January 20, 2015 by Stefano. Apologies to all my cyber friends whose wonderful blogs I have been neglecting in this crazy period. Hopefully, I will also soon resume regular reading and commenting. 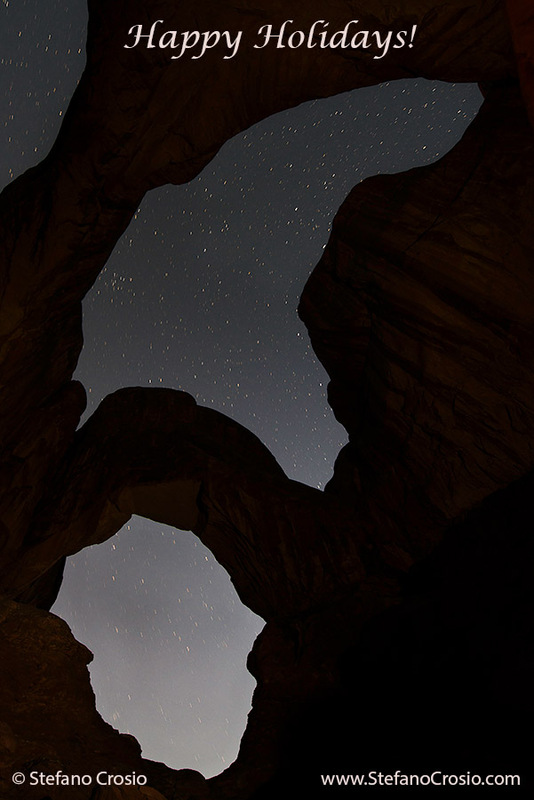 PS: The image above is a nocturnal view of Double Arch, in Arches National Park (Utah, USA). PPS: If you would like to see more images of mine, feel free to browse my Galleries. This entry was posted in Nature Photography, Photography and tagged celebration, Christmas, Double Arch, Hanukkah, holiday, nature, New Year, night, photography, stars, USA, Utah on December 24, 2014 by Stefano. Hope everyone is doing fine, easing into Fall. 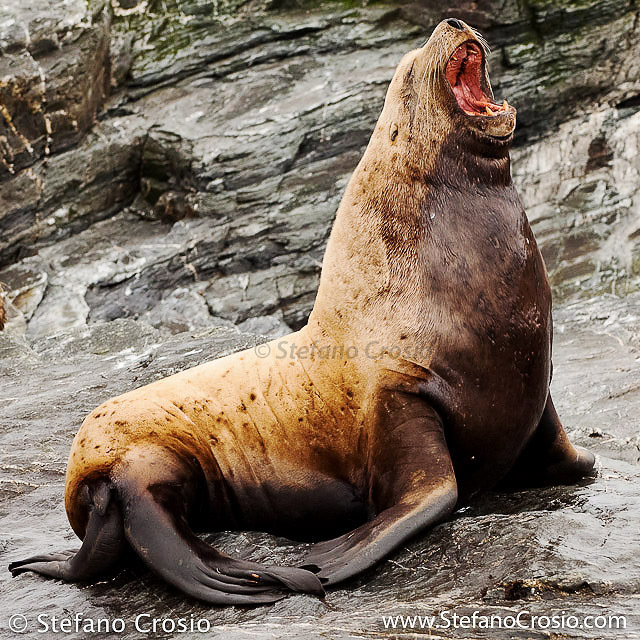 To start off your week with a… big yawn, here is an image of a Steller sea lion (Eumetopias jubatus) that I took while visiting the beautiful Kodiak Archipelago in Alaska. Steller sea lions are the largest otariids and the fourth largest pinniped. They are sexually dimorphic, with adult males weighing three times as much, and growing 20–25% longer than, adult females. Steller sea lions feed on fish and invertebrates. From a conservation standpoint, Steller sea lions experienced a dramatic and unexplained population decline of about 70% between the late 1970s and the 1990s, with the steepest decline occurring between 1985 and 1989, when the population was reduced by 15% per year. The population reached its low point in approximately year 2000 and has shown an overall annual increase of 1.5–2% since then, which has been enough to make the species move from Endangered to Near Threatened status in the IUCN Red List of Threatened Species. Nature history and conservation information source for Steller sea lions: the IUCN Red List of Threatened Species. This entry was posted in Photography, Wildlife Photography and tagged Alaska, Kodiak, mammal, marine, nature, photography, sea lion, Steller, USA, wild, wildlife on September 28, 2014 by Stefano.